I've had the pleasure to meet some of our members of our events. But for those I haven't met yet, I'm the Business Development Officer for Taunton Mencap and I hope to carry on Judith's successful fundraising and event planning. I have been touched by how welcoming our members are and the generosity from our supporters that makes all of our events possible. We have received continued support from White Stuff in Taunton, who have been donating 5p for every carrier bag sold. 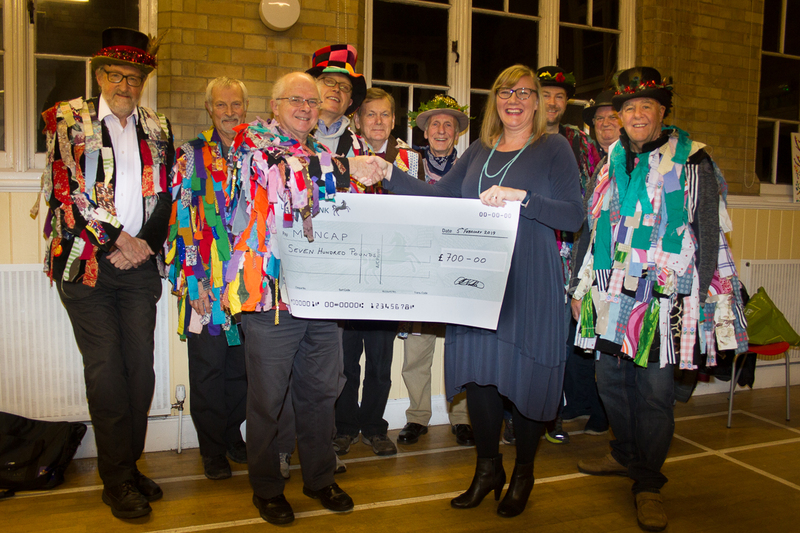 We have also been lucky in receiving a generous donation from the Taunton Deane Morris Men. 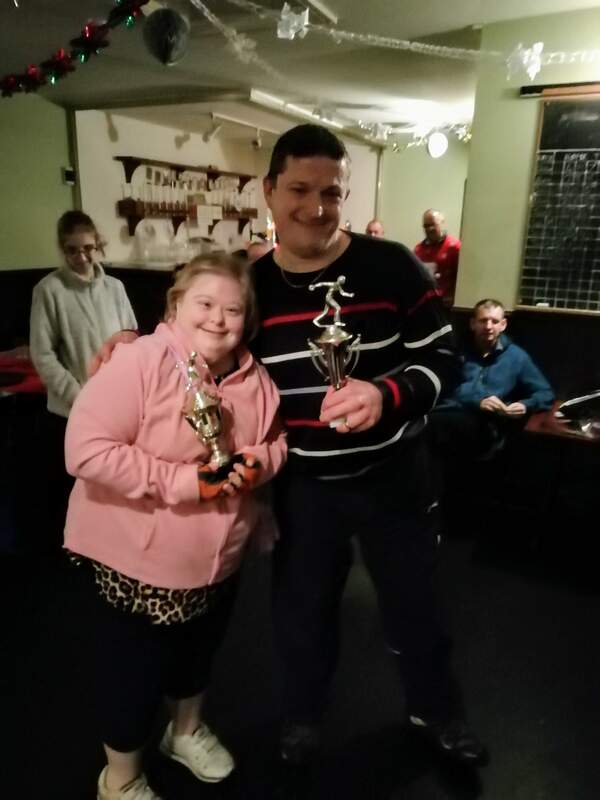 They performed at various functions throughout 2018/9 and collected at these events on behalf of Taunton Mencap. If you would like to get involved with Taunton Mencap then please email me on tauntonmencap@gmail.com. Christmas Craft Session. The very talented team from Wistaway came along and helped members create some of their own crafts, just in time for Christmas. The afternoon was fun-filled and new experiences were on offer. There was even the opportunity to make your own soap. Everyone who attended had a great time and were able to leave with something they had made. Well done to everyone who took part. Christmas Party. 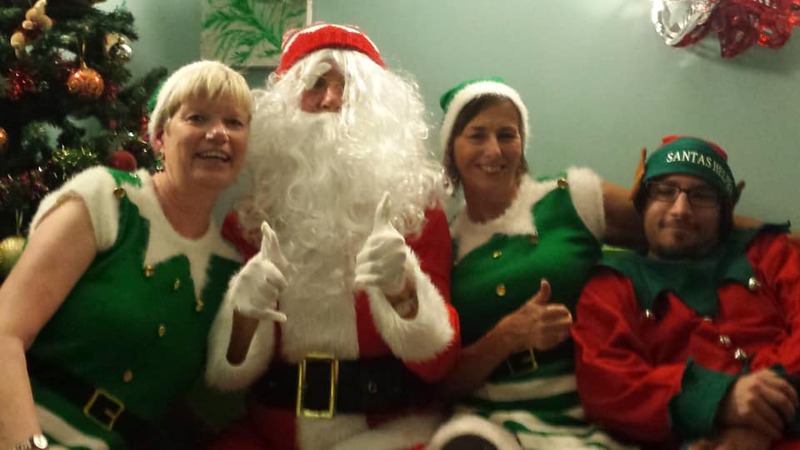 We always think that we would never be able to hold a Christmas party as successful and the last year, but with the 2018 Christmas party in full swing it became apparent that everyone who attended was having a wonderful time and the event was very well attended. The Beverley Brothers entertained us all with a selection of lively music which had everyone up and dancing. Later with the sound of sleigh bells Father Christmas arrived, the excitement grew as everyone was given a present. Skittles Lunch. 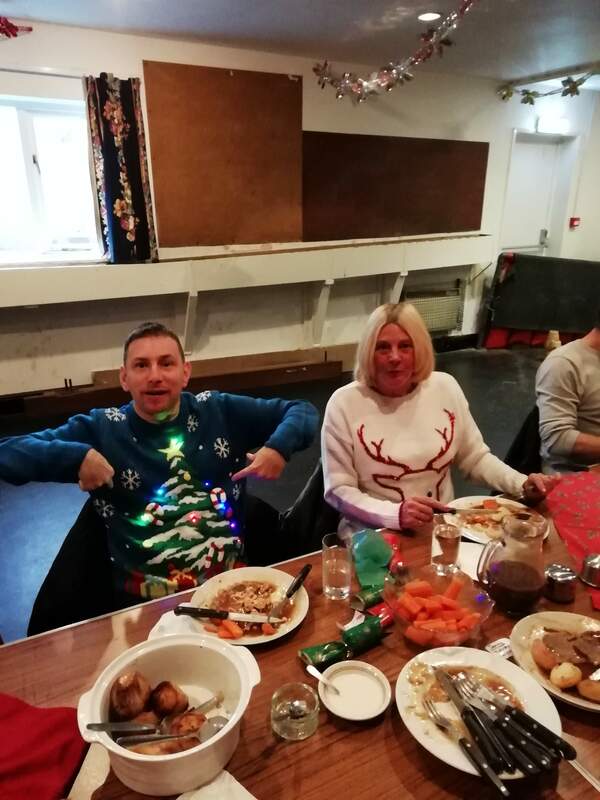 It has been a busy year for the skittles players and to celebrate this there was a Christmas lunch held at The Princess Royal. Good friend shared a super lunch with all the Christmas trimmings. This was followed by a presentation of skittles trophies, marking everyone's great achievement over 2018. New players are always welcome! To find out how you can get involved at our future events please email Lyn Dunn on dunn12002@yahoo.co.uk. 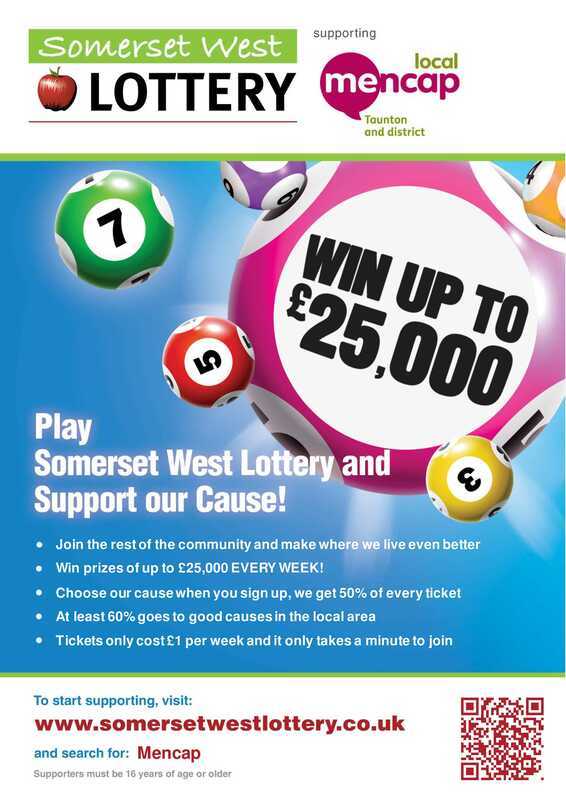 We have just heard that Taunton Mencap has been awarded a grant of £2,405 from the Big Lottery Fund towards the cost of salaries from October 2018. 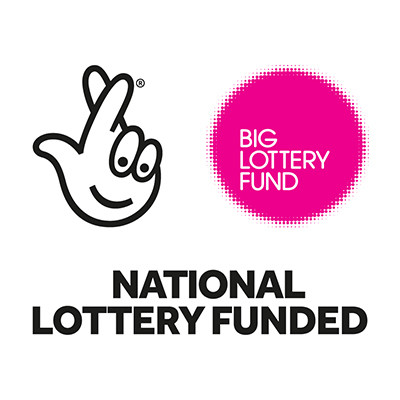 This will make a significant difference to our budgeting in 2019 and grateful thanks to the National Lottery and anyone who plays the Lottery. With the sad news of the closure of Six Acres, we have had to look for a new venue for the events that we share with our members. 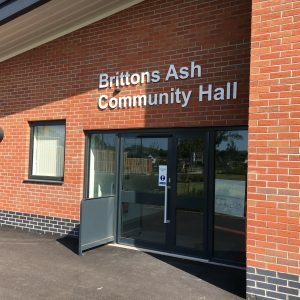 We are very pleased to say that we have found a new venue and this will be the Brittons Ash Community Hall. This is located on the old Taunton to Bridgwater Road and shares a site with the new West Monkton Primary School. This is a wonderful venue with very comfortable facilities for Taunton Mencap to use. We are pleased to introduce you to Dan - he is running the Virgin London Marathon on behalf of Taunton Mencap. 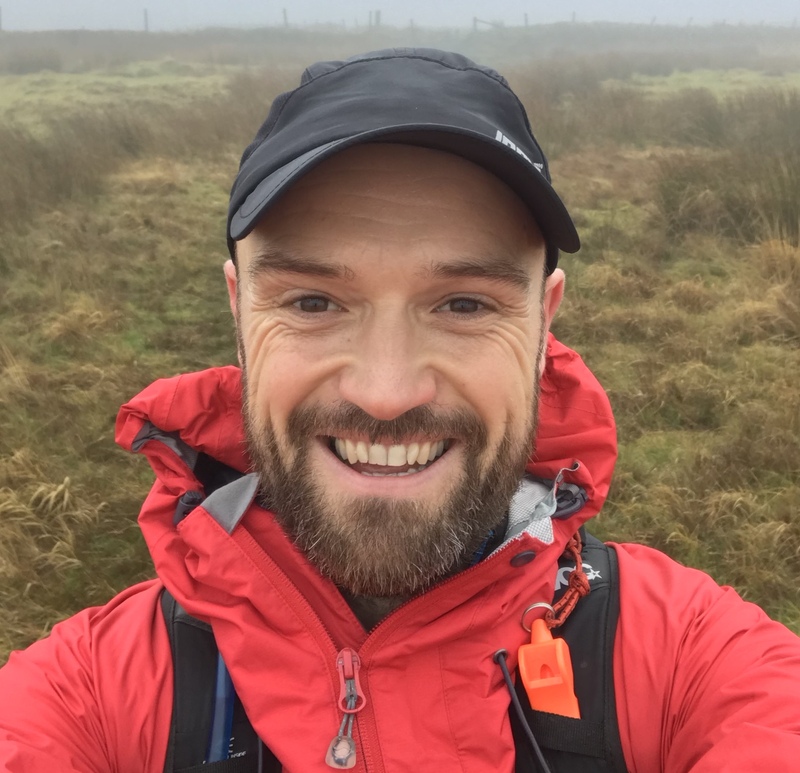 Taking part and training for a marathon is no easy feat and we really appreciate the effort that Dan is putting in. We would like to wish Dan all the best on his endeavour. Somerset vs Essex Eagles, in a corporate box at the County Ground in Taunton. To find out how you can support Dan by sending a donation or attending the events listed above, please email Tracy on tauntonmencap@gmail.com.